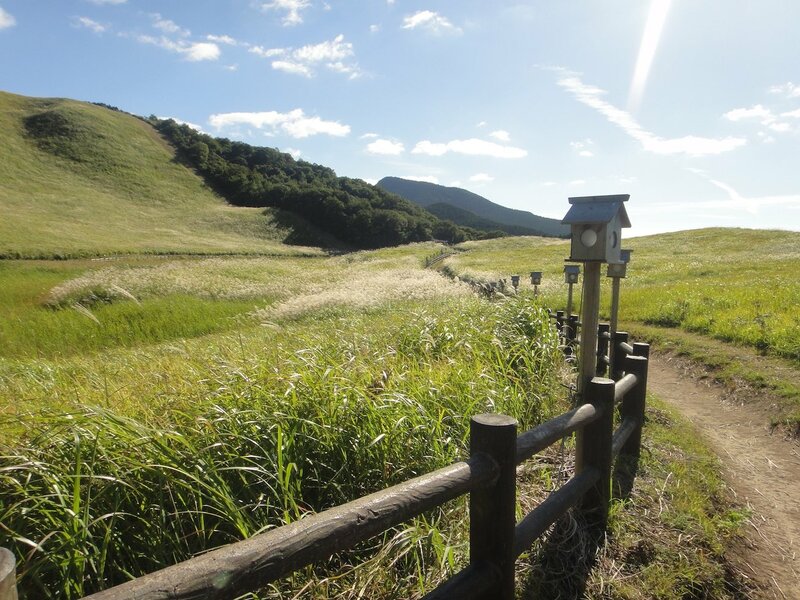 The Soni Plateau or Soni Kōgen (曽爾高原) is a marshy meadow filled mostly with a tall grass called susuki in Japanese. 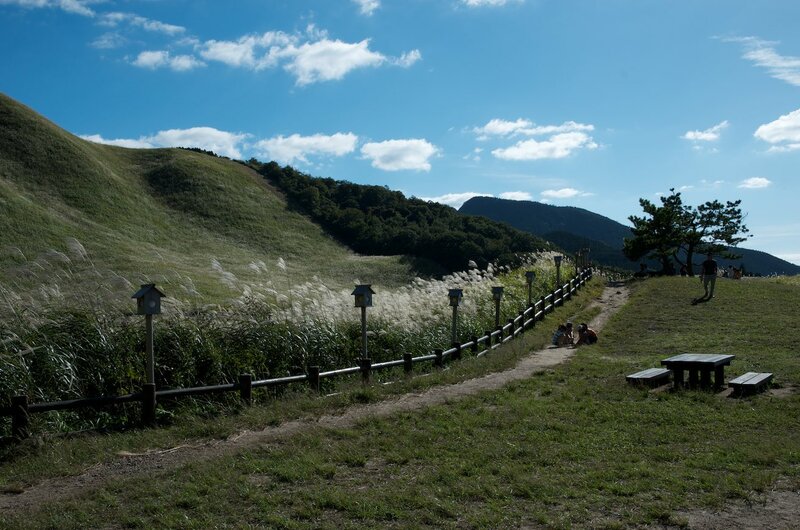 It is located in a remote part of northeast Nara Prefecture under the west facing slope of a roughly north-south line of mountain peaks that is the boundary with Mie Prefecture to the east. 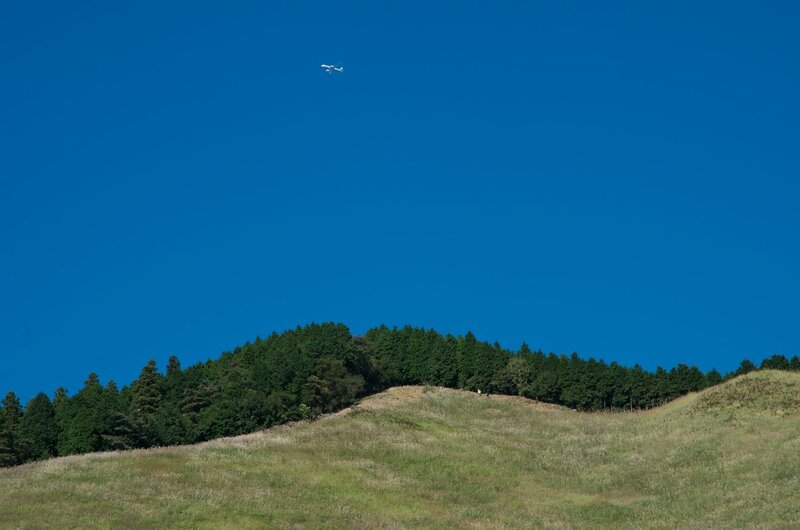 The plain itself is about 700 meters above sea level and covers 38 hectares. 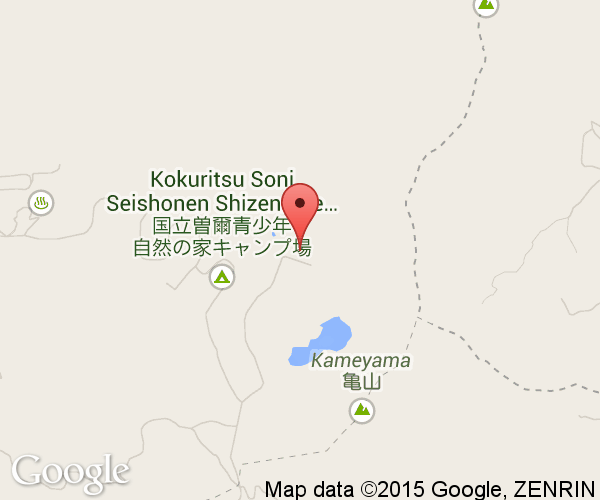 Closest to the plateau, Mount Kame (亀山) is 849 meters. 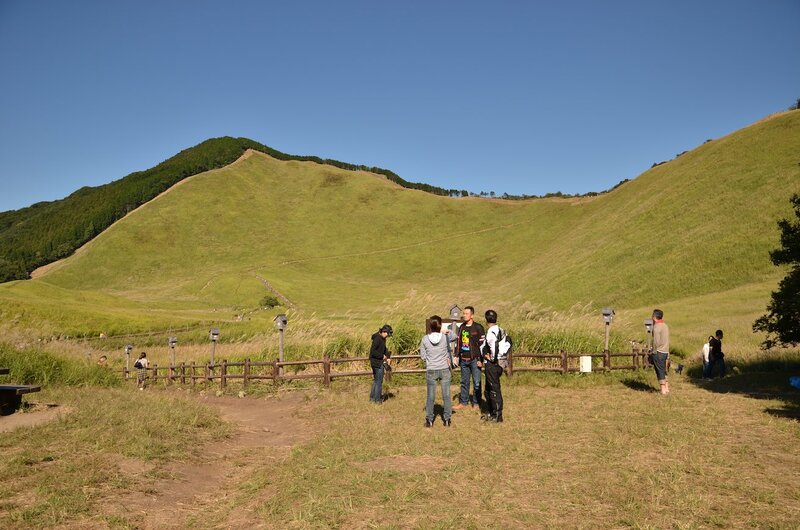 Kame means turtle in Japanese and this mountain is thought to be shaped like one. 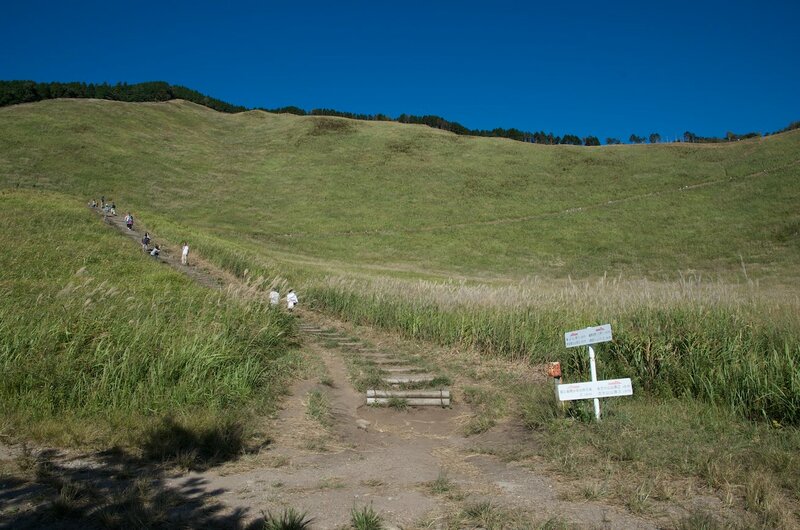 The hiking trails around the plateau are popular in the Kansai region. 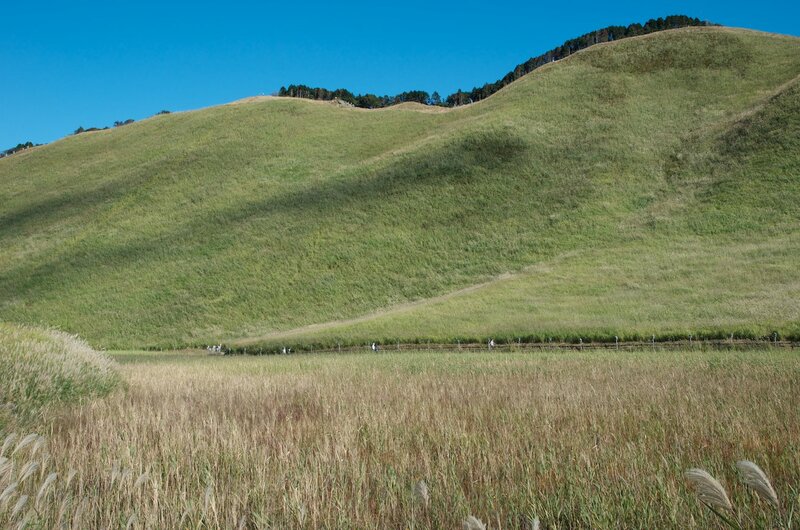 The appearance of the plateau changes greatly with the seasons. In the spring, the dead grass is burned. 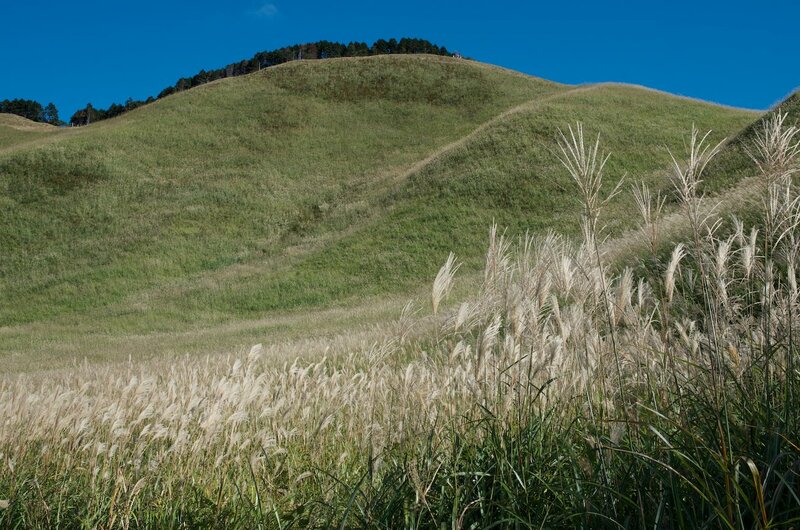 By autumn, a wetland area has formed in the middle of the plain. The Okame pond (お亀池) is central to a number of local Japanese folklore tales. Legend has it that the pond was once the mouth of a volcano. 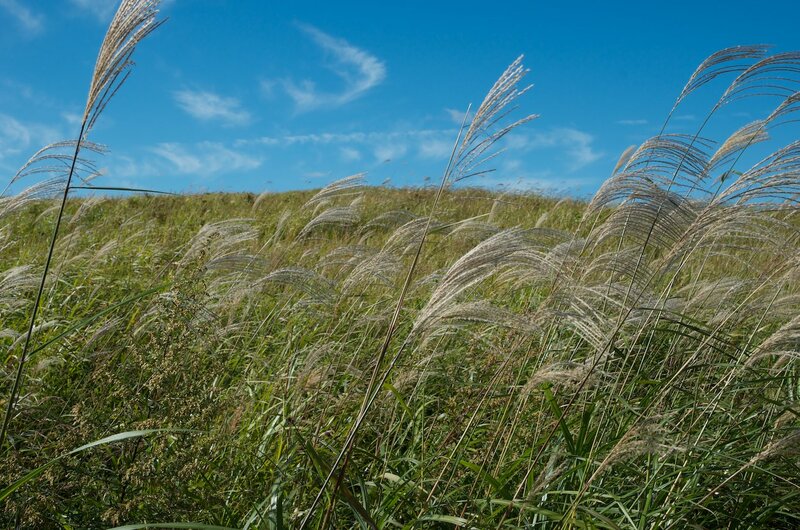 The susuki grass from the plains was used as roofing material by the nearby Soni Town. 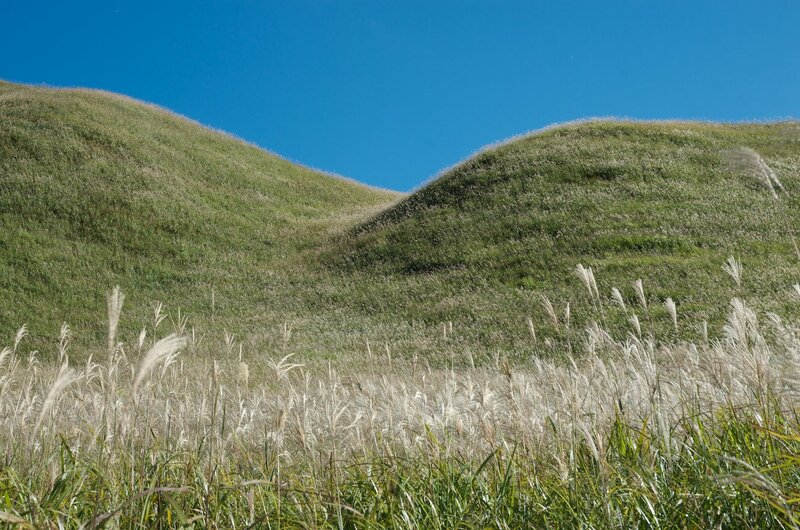 These traditional harvesting activities maintained the area as a grassland. With the introduction of modern houses, tile and metal roofs became more common and harvesting dropped off. This allowed sugi pine trees to start to reforest and threaten the landscape. The loss of this scenery and its connection to the past way of life led to appeals for its protection. The area is now part of a national park. The water flows out from the plateau into springs that are used as a local water source. The springs have some renown for being clean and tasty. The Environment Ministry included it in its 1985 list of 100 pure water sources (平成の名水百選). The water can be bought from a vending machine (100 yen for 20 litres), bathed in at Soni Plateau Onsen and sampled in the beer produced by the local microbrewery. 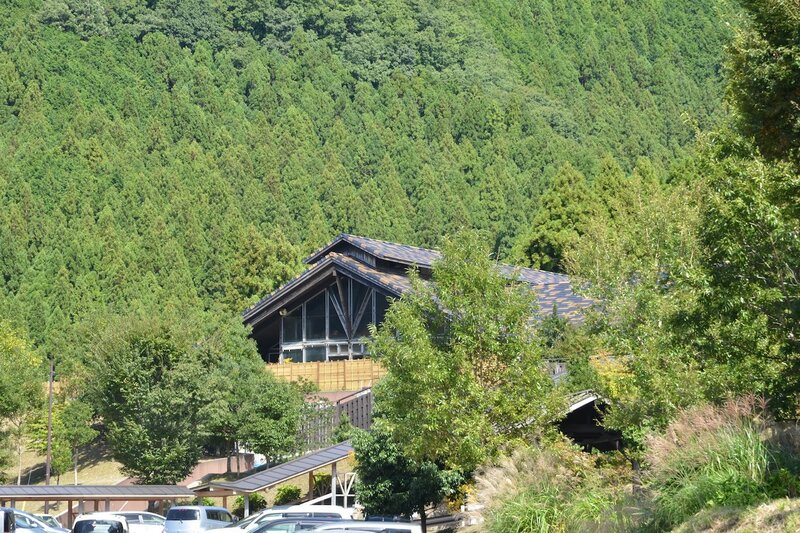 As you approach, there is large parking lot for the onsen and restaurant. Beyond this, there is a parking lot closer to the plateau. The trail around the plateau is well maintained and is fairly flat. It takes about 40 minutes to walk around the pond. The path is lit up at sunset using the wooden lanterns beside the trail until October. The best time of year to visit is from September to November. At the far side of the path around the pond is the entrance to the trail up to the top of Mount Kame (亀山 - 849 m) and along the ridge to Mount Kuroso (倶留尊山 - 1038 m) to the north. The trail up to the first peak has a gain of over 100 metres and is .9 km from the pond. It it a fairly gradual and constant with switchbacks to reduce the steepness. Mount Kuroso is 2 km from the pond. The area has an average temperature of 25 degrees in summer. In the autumn, the weather cools off as the hiking season heats up. The area can receive heavy rainfall at times. 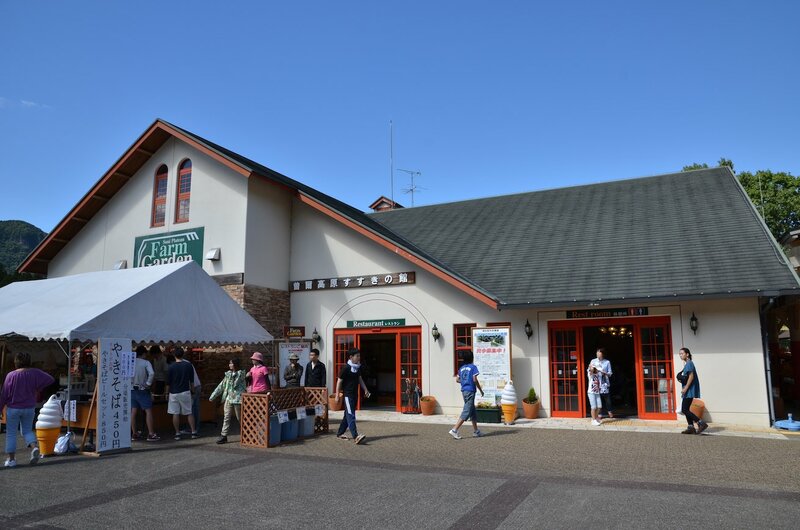 This combination restaurant and gift shop provides a way taste the area's products and then take some home with you. The restaurant is considered quite good. Public washrooms are in the building as well. It is located on the way to the plateau. This popular onsen uses water from the local springs. The open-air bath allows you to take in the surrounding mountains as you relax. The well designed baths were built using natural rocks from the area. It opened in 2004. It is located with the Soni Plateau Farm Garden on the way to the plateau. While the area is remote, it is easily accessible by car or bus (with more effort). 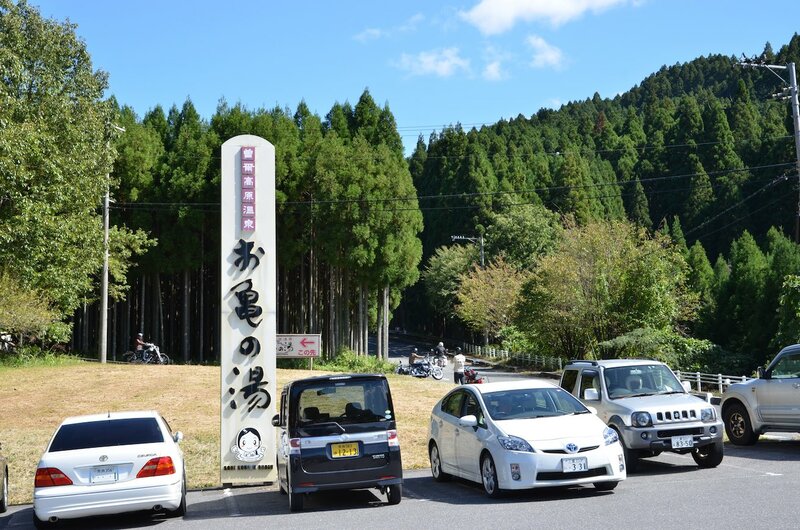 It is a 1 hour and 50 minute trip by car from Osaka City and over an hour from Nara City. A bus (三重交通) has run from Nabari Station (名張駅 - Kintetsu Railroad) on holidays and weekends from April to November to 1 km from the plateau. From late September to November, it has operated on weekdays as well.